We are located on the second floor of the renovated historic Russell Block building in downtown Muskegon, right above Unruly Brewing and Drip Drop Drink. 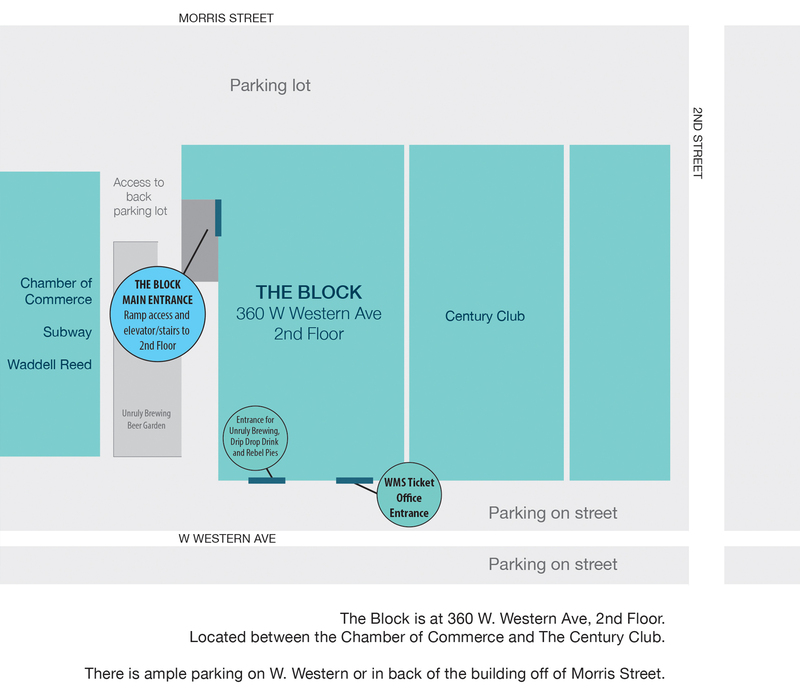 When you visit The Block you’ll find ample free parking in the lot behind the building, just off Morris Ave. Our accessible entrance with elevator access is on the side of the building, adjacent to the parking lot. 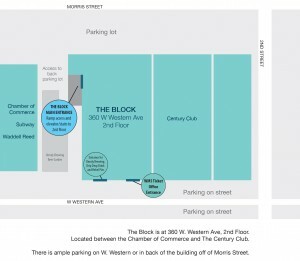 The ticket office for concerts at The Block is located on the first floor in the front of the building, with an adjacent stairway leading up to the administrative office and rental/concert venue. 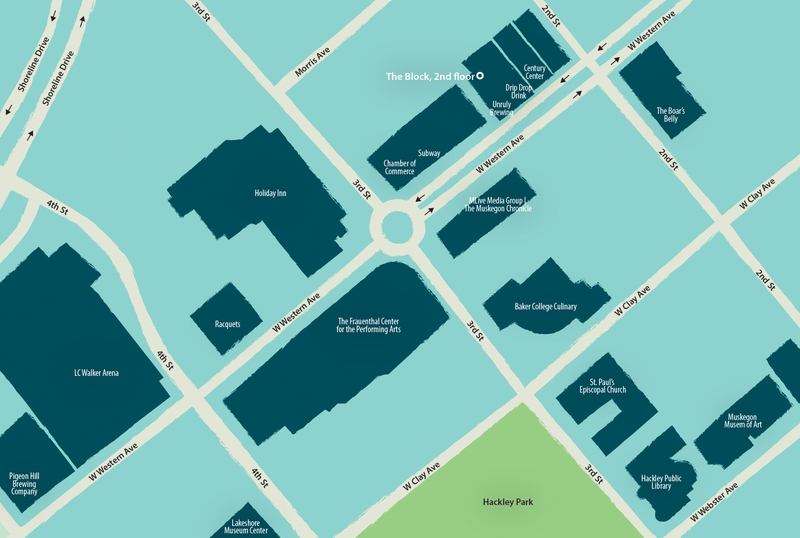 Click on the links or the images below to download printable maps of our building and of the streets surrounding The Block.